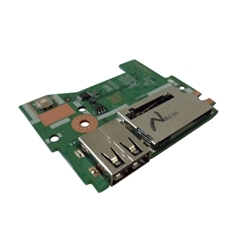 Description: New genuine Acer laptop replacement I/O board. This part contains the power button, usb port and card reader. Compatible Part #'s: 55.G2JN2.001, B5W1E LS-D121P.